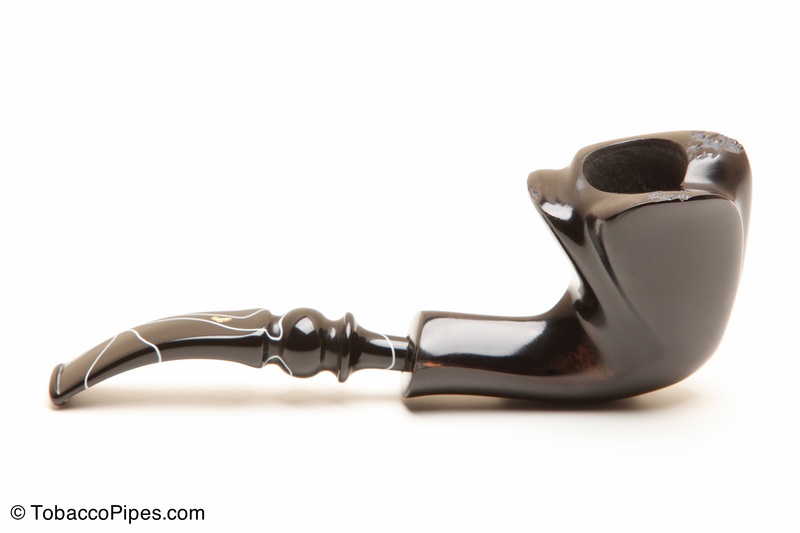 Nording Black Smooth pipes are sleek, unforgettable, and bold tobacco pipes. The “Black Grain” high-gloss stain adds an even greater elegance to these unique hand-carved smoking pipes. Made free-hand in Denmark, with Acrylic stem and a unique bowl shape, you’re sure to be noticed smoking your new Nording Black Smooth pipe!